Team Sapsucker on their second midnight of the day. L to R: Marshall Iliff, Andrew Farnsworth, Jessie Barry, Brian Sullivan, Tim Lenz, Chris Wood. Photo by Jessie Barry. 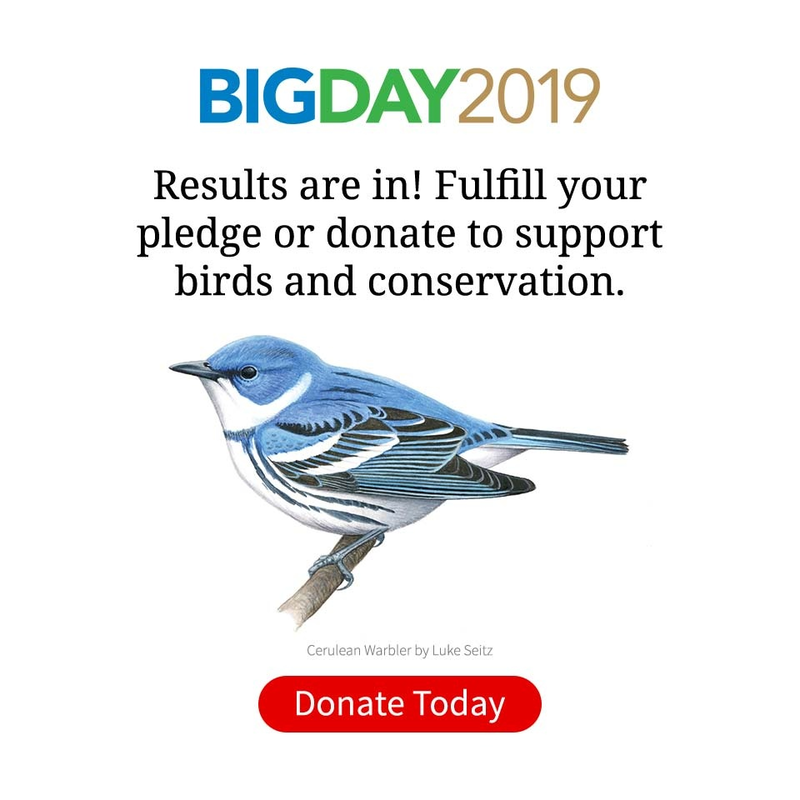 For additional Global Big Day coverage, see: eBird’s roundup of Global Big Day results (more than 6,300 species, nearly 17,000 participants in 145 countries); and our story on Team Redheads’ victories at the 2016 World Series of Birding. Over the 24 hours of Saturday, May 14, 2016, the Cornell Lab’s Team Sapusucker battled tire-shredding roads and roaring winds to find 232 species in southeastern Colorado, a new state record. Along the way they enjoyed one of the best migration days of the year, scored double-digit owl species, found surprising rarities, and enjoyed possibly their best dawn stop ever as marsh birds and waterfowl decorated a high lake and the snow-capped Sangre de Cristo mountains provided a stunning backdrop. It all started with a roadside stop in the Wet Mountains southwest of Pueblo, Colorado, at midnight. No fewer than four Flammulated Owls were hooting in the still night air. Their resonant notes were joined by the sharp piping of a Northern Saw-whet Owl and then a Northern Pygmy-Owl. Finally, from far in the distance, came the first inkling that luck might be with the Sapsuckers as they heard Mexican Spotted Owl, a federally threatened subspecies with only perhaps a dozen breeding pairs in the state. Team Captain Chris Wood, a Denver native, had picked out this isolated part of the Rockies as having some of the best owling in North America. Sure enough at their next stop the team picked up three more—Western Screech-Owl, Long-eared Owl, and Great Horned Owl—en route to a total of 10 owls for the entire day. Sora by Kurt Hasselman via Birdshare. At the first hint of dawn light the Sapsuckers were on the frosty shorelines of Alamosa National Wildlife Refuge, bundled into down jackets and enjoying a marsh-bird symphony: an estimated 80 Soras and 30 Marsh Wrens, plus American Bitterns, Virginia Rails, the screeching of Yellow-headed Blackbirds and the winnowing of Wilson’s Snipe. At nearby San Luis Lakes State Park, as the team scanned across silhouetted Least Sandpipers, the drooping bill and black potbelly of a Dunlin stood out. The day’s first rarity had come before the sun had risen. As the light came up, Tim Lenz noticed a Franklin’s-like gull with long wings and fully black wingtips—another rare find for the region, Laughing Gull. Working at the limits of his Swarovski 95-mm scope, Chris Wood picked out the dumpy, drawn-out shape of a Long-tailed Duck in flight. Meanwhile, Andrew Farnsworth had been scanning the skies and now he saw a group of 11 Forster’s Terns dropping to the lake from almost invisible heights. This was the first hint that weather conditions had come together to create a series of migrant fallouts that would boost their list throughout the day. At the same time the Sapsuckers were working their way across Colorado, tens of thousands of bird watchers all over the world were taking part in the second annual Global Big Day. As of Tuesday, May 17, the single-day total was 6,171 species with more than 40,000 checklists and 15,00 participants—breaking last year’s record in all three categories. View the most recent totals. Thanks to everyone who made Global Big Day such a stunning success! Also that same day, the Cornell Lab’s student teams competed in the 33rd World Series of Birding in New Jersey. The three Redheads teams enjoyed a great day of night birds and migrants, and they stayed strong through severe afternoon thunderstorms and poor seawatching conditions. The Cape May County team won their division with 176 species; the Cape Island team took third with 146 species, and the Big Stay team also finished third with 79 species. More about the Redheads. By 7:30 a.m., the Sapsuckers found themselves revisiting a long-standing tradition: getting a flat tire on a Big Day. It was their earliest flat tire in Big Day history, forcing the team to forgo critical early morning birding plans and head into Fort Garland, where all the service stations were closed. A sympathetic cashier at the grocery store called up Phil, a mechanic who had just returned from a wedding in Denver the night before. Despite the hour, Phil cheerfully got the Sapsuckers rolling again with just over 60 minutes gone from the clock. The Sapsuckers plan their Big Day routes down to the minute, and this hiccup led to some hasty revisions. Out the window went the highest elevation tundra and spruce-fir species: White-tailed Ptarmigan, Gray Jay, Pine Grosbeak, Fox Sparrow, American Three-toed Woodpecker. The team had picked up American Pipit as a flyover earlier in the morning. It was their only alpine species of the day. They also had to give up going to the canyonlands in search of Canyon Wren and a couple of species just beginning to stretch their range into Colorado: Acorn Woodpecker and Grace’s Warbler. That windfall of unexpected birds at dawn had just been counterbalanced by their wait in Fort Garland. At this point, the most hopeful aspect of the day was that flock of Forster’s Terns at dawn, and the possibility that more migrants might be doing the same along their route. The great people at Chico Basin Ranch including the entire Phillips family, Juliana Frost, and Nancy Gobris. Thanks to the thousands of Colorado birders who use eBird. 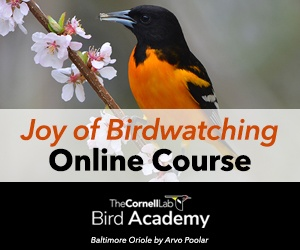 In particular we would like to thank Mark Peterson who spent countless hours answering numerous queries on topics ranging from specific sites to road conditions to specific details on the activities of individual birds. Dozens of other birders in Colorado provided broad to specific information on birds, including Alec Hopping, Joey Kellner, Tony Leukering, Bill Maynard, Duane Nelson, Brandon Percival, Pearle and Clif Sandstrom-Smith, Dave Silverman, Jane Stulp, and Glenn Walbeck. The Sapsuckers also send a heartfelt thank-you to everyone who pledged or donated to support them on the day. Big Day is the Cornell Lab’s biggest fundraiser of the year. Thanks to sponsorship by Swarovski Optik, every dollar donated goes directly to support our conservation work. You can still make a donation to Big Day 2016. Thank you! Burrowing Owl by Lora via Birdshare. After canvassing the mountains, the Sapsuckers’ white SUV headed around Pueblo on I-25 and then east, picking up a nesting Osprey and soaring Mississippi Kites as the team headed to Chico Basin Ranch. The sprawling pastures were dotted with patches of trees that seemed to have sucked in all of the past night’s migrants, including Northern Parula, Blue-winged Warbler, and four species of Empidonax flycatchers. In all they added 27 species, a bonanza considering it was 3:00 in the afternoon. A strong south wind had settled in, blowing at a sustained 20 or 30 mph and driving the Sapsuckers into the lee of their vehicle to try and keep their scopes steady. The wind remained a constant adversary for the rest of the day as the team searched the wide open spaces for birds like Burrowing Owl, Mountain Plover, and Ferruginous Hawk. The most painful misses came in the afternoon. Earlier in the week, Barry had clambered down a creek bank, past barbed wire and under a bridge to find the only Black Phoebe nest for miles around. But today the young had fledged and moved with their parents off down the drainage. And at 6:00 p.m., still needing to make up time from the morning’s flat tire, the crew made another hard decision: axing the 20-minute drive to a precious Piping Plover nest. Black Tern by Roger Kirchen via Birdshare. Dusk came on as the SUV cruised empty farm roads, the team cupping their ears to catch the insect-like trill of a Grasshopper Sparrow over the blustering wind. Their last two birds were Eastern Screech-Owl at 9:00 p.m., a nice bookend to the Western Screech-Owl they’d heard 16 hours earlier; and a Bald Eagle on a nest, silhouetted in the moonlight at 9:28 p.m. From then until midnight, the team visited marsh after marsh to listen for Black Rail—one of the most elusive rails in North America but also fairly common in these marshes—but the wind was relentless. Brian Sullivan heard one in the same spot he had scouted it a day or two earlier, but no one else could pick out the kee-kee-kerr over the background noise.